This programme is a pathway-based MSc degree, with a strong vocational content, that is designed to develop skills in the management and implementation of archaeological projects. It is intended for those preparing for a career in commercial archaeology or as continuing professional development. Students will acquire expertise in a range of skills and techniques, from survey and excavation, to post-excavation analysis of objects and materials, archiving, reporting, publication and heritage management. Through project-based activities, and field- and laboratory-based elements, they will learn about the structure and organisation of archaeological practice within the UK, how to design and manage archaeological projects, and how to write and prepare reports. The programme has a strong practical component and aims to replicate real-world situations. Students have full and unlimited access to the facilities in the Department of Archaeology, including dedicated archaeological survey, computing and imagine facilities, lithics, ceramics and osteology labs, and extensive teaching collections. Southampton is located in close proximity to some of the UK’s premier archaeological sites and landscapes, including the Stonehenge and Avebury World Heritage Site. 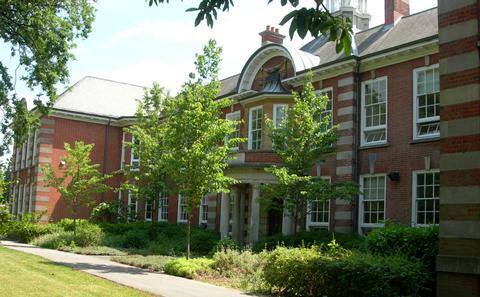 Archaeology at the University of Southampton has close links to industry and national heritage bodies such as Historic England through its Coastal and Offshore Archaeology Services, Centre for Applied Human Origins Research and Archaeological Prospection Service. Its staff work in collaboration, and have held formal roles, with many of the big commercial archaeological units in the UK, including the Cambridge Archaeological Unit, Cotswold Archaeology, Oxford Archaeology and Wessex Archaeology. Southampton Archaeology is a global leader in research with fieldwork projects across the globe including Spain, Portugal, Romania, Croatia, Hungary, Sudan, Egypt, USA, Canada, Denmark and the UK and students frequently participate in these. The specialism in Higher Archaeological Practice includes elements that familiarise you with key methods and techniques from survey, excavation, post-excavation analysis of objects and materials, to archiving, reporting and heritage management. This is a strongly vocational specialism that will help you to develop new and existing skills in preparation for a career in the commercial sector or as continuing professional development. The specialism in Higher Archaeological Practice focuses strongly on practical elements, including learning activities designed to replicate real-world situations in the field and in post-excavation. You will have the opportunity to work with a wide range of archaeological materials, and activities will include project-based work, field- and laboratory-based elements, and reporting and publication.